We’ve decided to handpick a few blogs that we find inspiration in. These are very interesting to read for all bicycles and lifestyle blog fans and we would love to share them. These bloggers write about their valuable knowledge, passion, adventures, or news related to bicycles and cycling as a lifestyle. 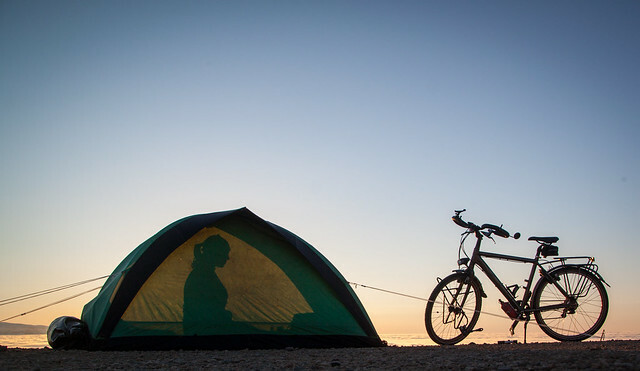 Our first recommendation is Cycling Dutch Girl, in which Mirjam, a coffee-loving, beer-drinking, and bicycle-riding Dutch girl, writes about her bike trip adventures around the world and takes beautiful photos during her journeys. She has been living on the road since 2001 and has marked her impressive map and filled her photo albums with her routes covering countries like Australia, Canada, Iceland, India, Japan, New Zealand, and the USA. Our second choice is a Canadian photographer’s blog, called The Rolling Spoke. We have recently discovered him and his amazing pictures a few weeks ago, and ever since then, we are in love with his work. 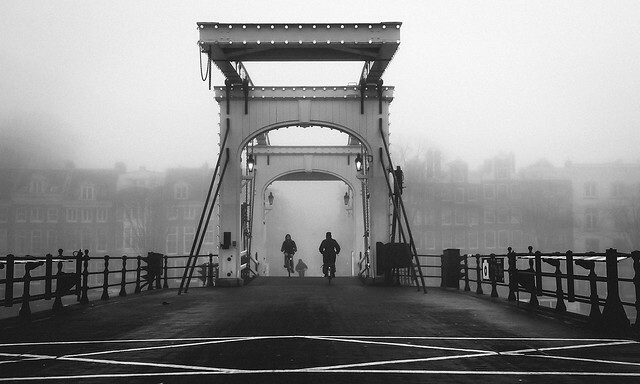 He manages to capture Amsterdam in its essence, through the iconic shots of different cyclists in the city. His blog features many categories of pictures, from cinematic-like ones, to bicycle brand dedicated albums, as well as a very interesting series of mysterious pictures involving fog and of course, bicycles. As we read in his bio “He draws inspiration from the jostling energy of the city and has a keen interest in observing people. He’s most intrigued by the intrinsic value the bicycle has on human condition. This is his photo journalistic view on life on two wheels. The aim is present an unbridled perspective of urban bicycle culture while having fun doing it.” we believe it is worth taking a look and hereby invite you to discover his posts on his blog and on his Facebook or Instagram accounts. Our third chosen blog is Amsterdam Cycle Chic, which is the Dutch version of the Global Cycle Chic Republic, founded by the original Copenhagen Cycle Chic. 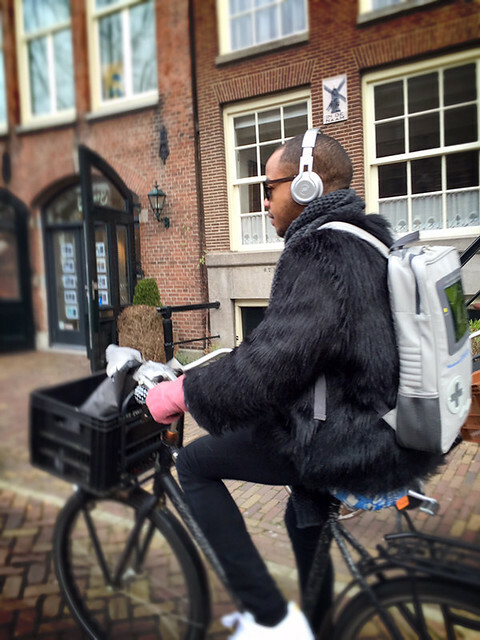 The aim of this blog is to inspire people around the world to create cycling cities like Amsterdam, where you can see chic and fashionable people cycling no matter which season you are in. In one of their latest posts we spotted a Gameboy fan who was wearing a Gameboy backpack, a faux fur coat, and some pink gloves. While featuring all these, he was also listening to some music on his way to somewhere fabulous, with no doubt. This is how to make a stylish arrival impression on a grey winter day!